Its website is back from the dead after two days that its CEO called a “low point” for the struggling online merchant. It lives! Photograph by Flickr user Danny Lee. LivingSocial’s website is once again among the living after coming back online Thursday morning from an embarrassing crash that lasted more than 40 hours. The DC-based online middleman says the outage stemmed from a malfunctioning database that needed to be manually rebuilt, according to Washington Business Journal. The site returned about 9 AM, nearly two full days after it initially went down. But even though LivingSocial can once again sell its coupons and travel packages, the company is in serious damage-control mode. 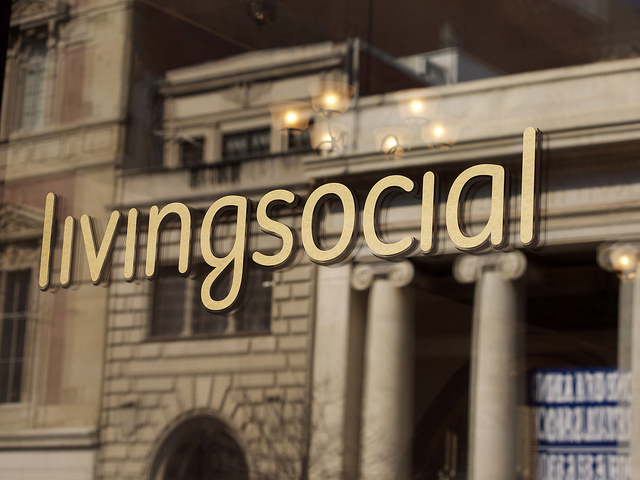 Even with LivingSocial’s assurances that the website outage did not affect customers’ credit card information, it still represented a cringeworthy moment for the six-year-old company that only last year was routinely showered with praise from DC officials for being a popular internet commerce company based in the nation’s capital. Slate even recommended that between the technical issues and the continuous quarterly losses, LivingSocial should consider giving up entirely. “These last two days have been an incredibly low point for our company but we will do better and we will be back,” LivingSocial CEO Tim O’Shaughnessy wrote in a company memo today. The company will also need to make up for its partner merchants’ lost sales. In the last year, LivingSocial has shifted from daily discounts toward coupons that remain available for weeks or months. In hopes of making up some ground from the two-day outage, the company announced on its blog that customers can get 25 percent off all purchases on Friday and 15 percent on Saturday and Sunday. Benjamin Freed joined Washingtonian in August 2013 and covers politics, business, and media. He was previously the editor of DCist and has also written for Washington City Paper, the New York Times, the New Republic, Slate, and BuzzFeed. He lives in Adams Morgan. WJLA’s TV Legends Are Vanishing. Does It Matter? The Mueller Report: Who Should Narrate the Audiobook?